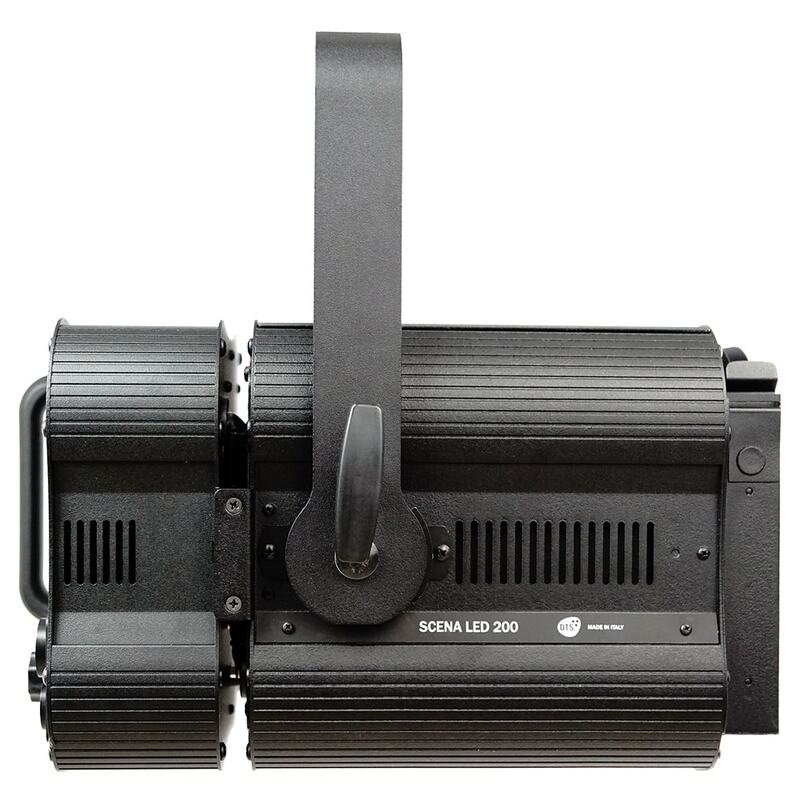 SCENA LED 200 is a high-power, compact, lightweight LED projector suitable for TV studios, theatres, museums, exhibitions, events. 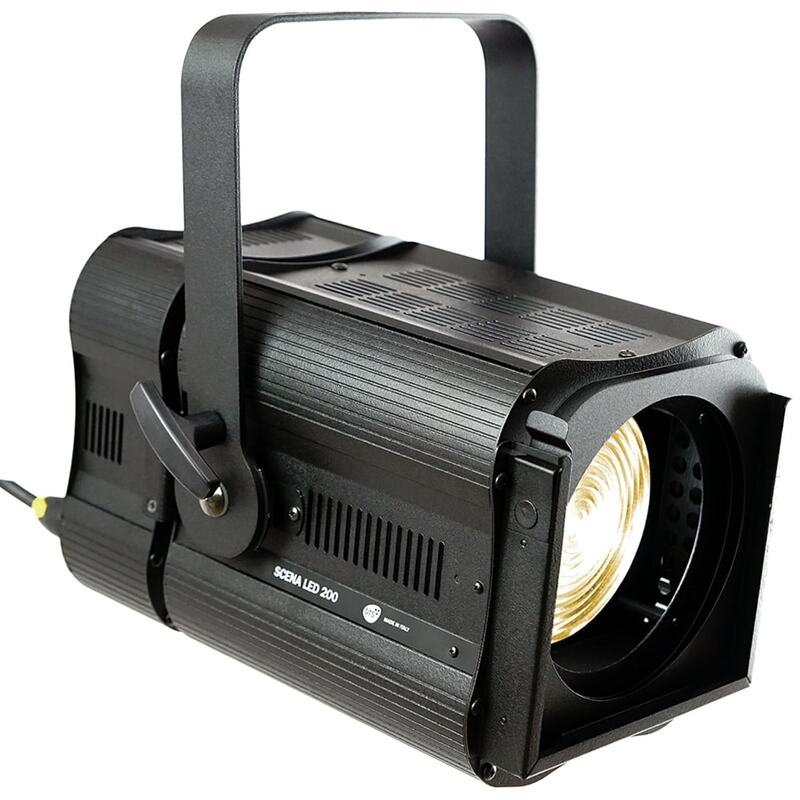 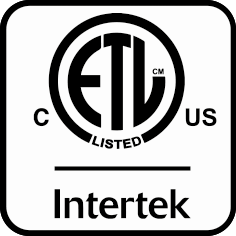 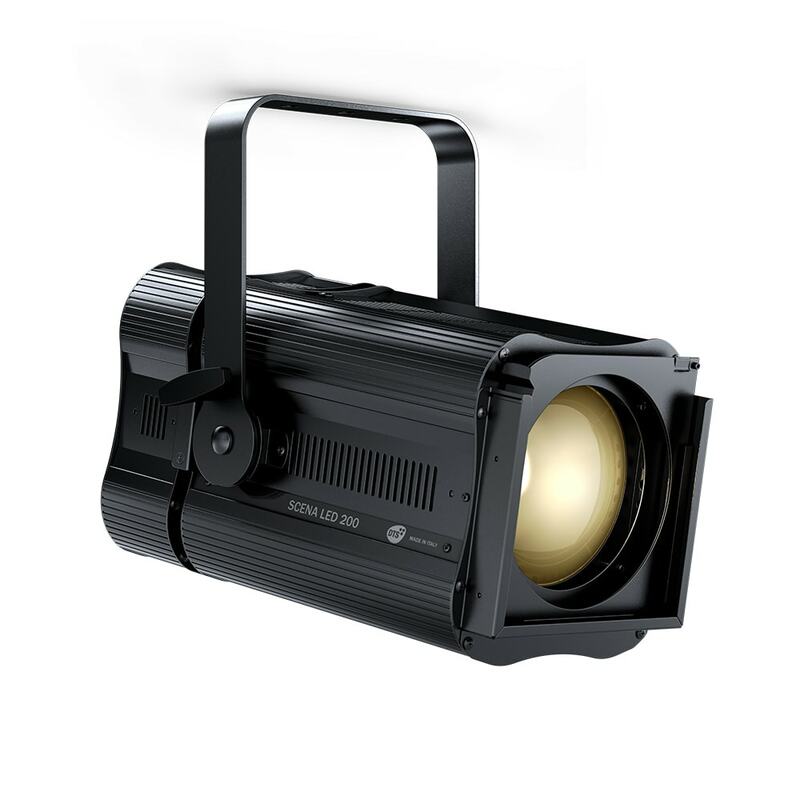 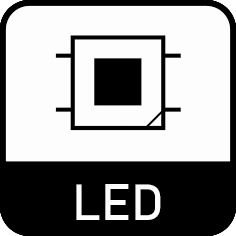 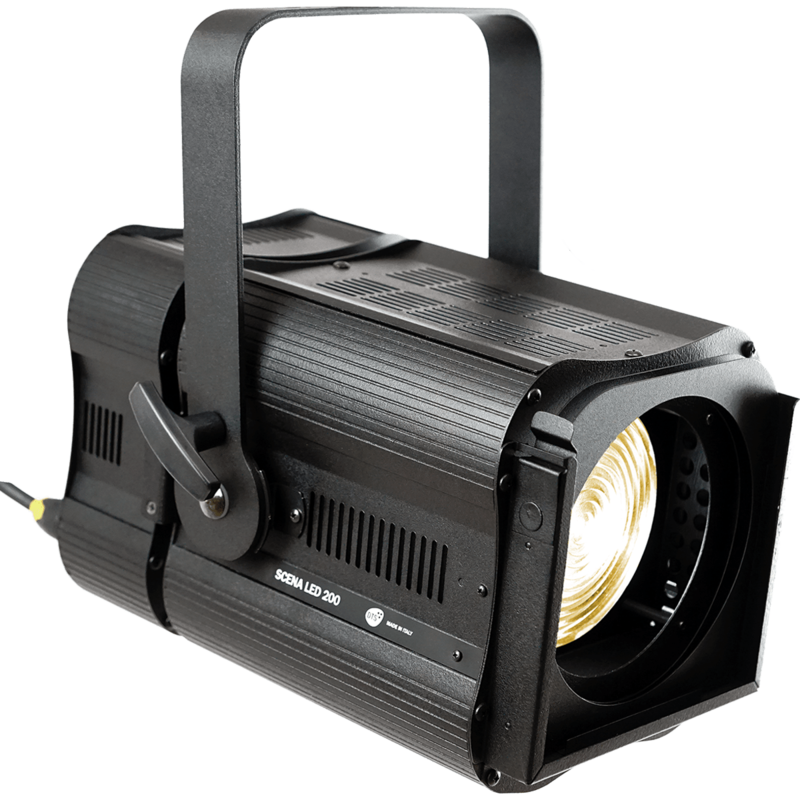 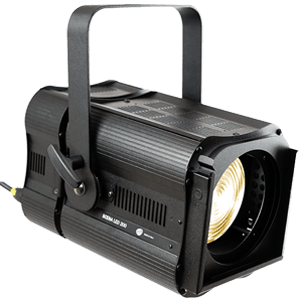 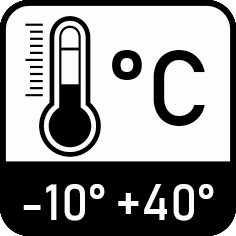 SCENA LED 200 is the most up-to-date alternative to conventional lights, offering technical features that dramatically improve light quality and flexibility of use: CRI > 95, flicker-free projection, DMX-RDM remote control, noiseless operation, virtually zero maintenance costs, lower power consumption. 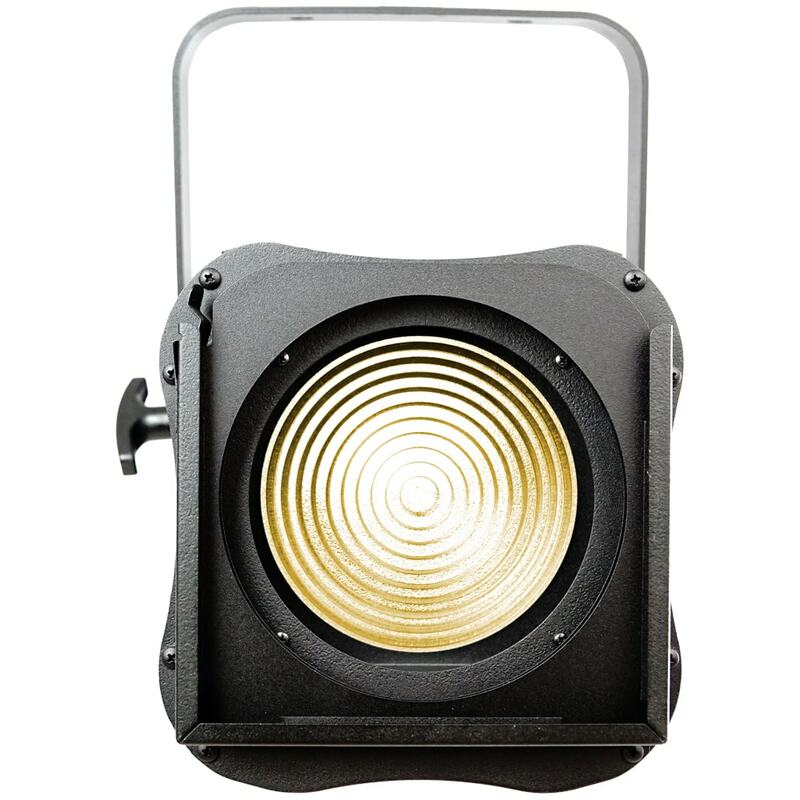 SCENA LED 200 is contained in a strong housing with folded edges, designed to withstand a continuous use.